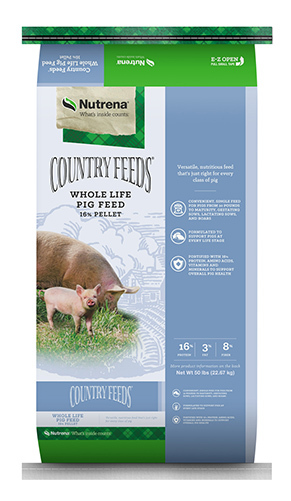 Balance is Key The protein and amino acid profile in Country Feeds Whole Life Pig Feed is specifically designed for a wide range of ages. 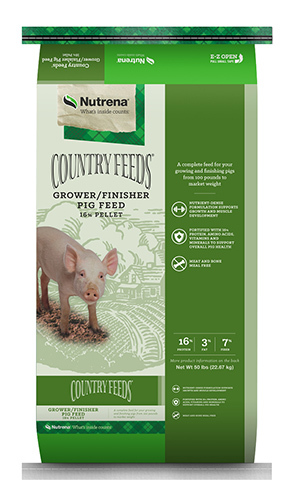 Pastured Pork The nutrition and energy levels of Country Feeds Whole Life Pig Feed complement the diets of pigs raised on pasture. 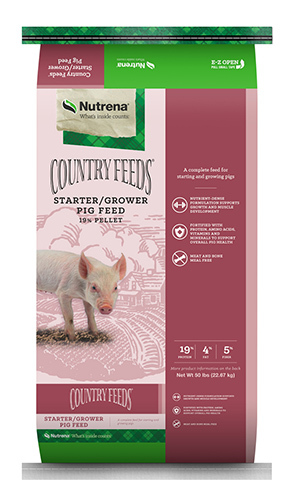 Feed from 20 lbs to maturity as well as to gestating sows, lactating sows and boars.